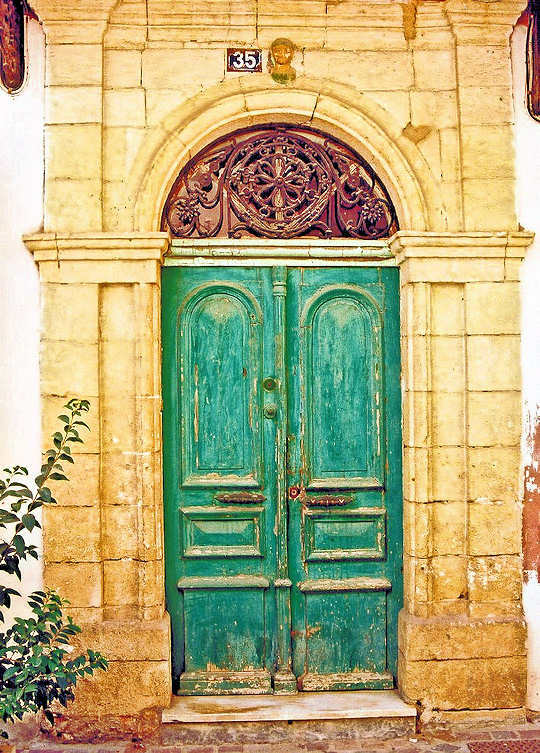 The character and beauty of the Doors of Crete have been reflected by a visitor to the island, Dalius Regelskis, who came with an artist's soul and eye to understand Kriti and her culture. 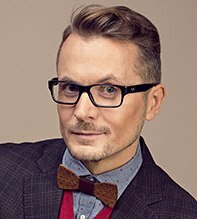 It is inspiring to see such deep understanding of a culture from a visitor, it is clear that the passion for Crete has developed for this artist and architect, a polymath from Lithuania, currently lecturing in architecture at the Vilnius Academy of Arts as Associate Professor. 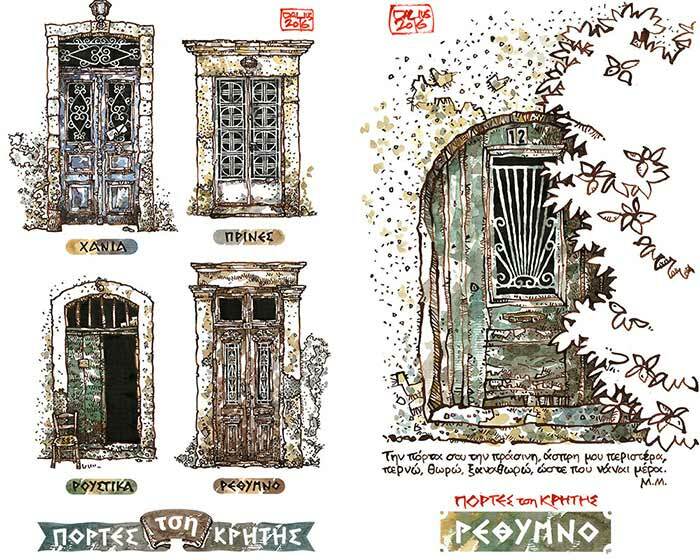 In an inspired collaborative project around 100-year-old doors of Crete, this artist has partnered with local Manolis Maragoudakis of Vederi village in Rethymnon, who has added poetry to the fine art pieces. 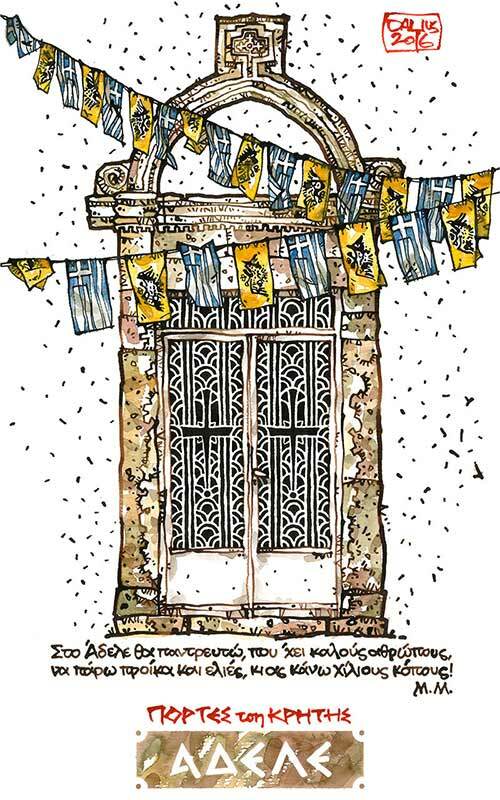 The sensibilities close to the heart of the Cretan people have arisen in Dalius and enriched not only his own life but all who appreciate the culture, history and architecture of Crete. 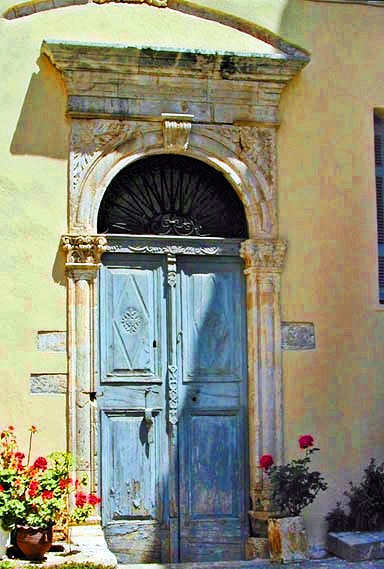 "Who was that master, that great wood carver, that passionate artisan, who created these doors on the island of Crete?" hoping that I will be given olive groves as a wedding gift!" "I found Crete eleven years ago arriving with my family as an ordinary tourist and I lost my head for this amazing island in one breath. Since then we used to spend every summer here," says Regelskis. "We became close friends with a Greek couple – Manolis and Maria – from a small village of Vederi near Rethymno. They produced the unique furniture from hundred-year-old doors, shutters and planks. 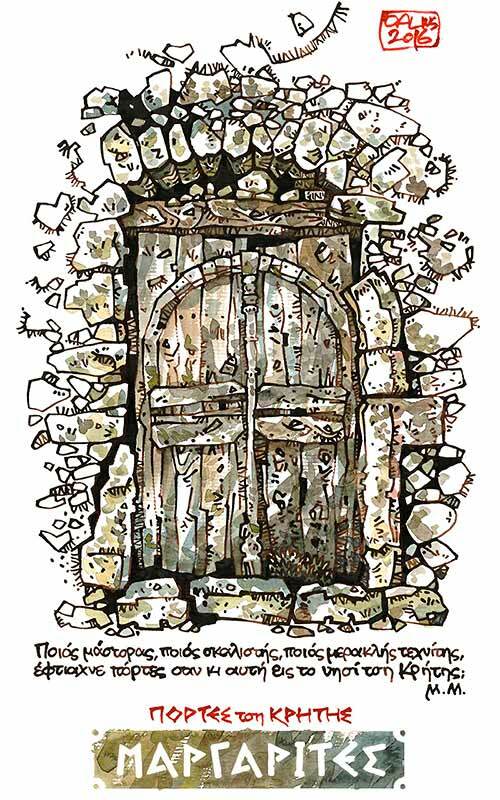 Once I told Manolis that I’m painting Cretan doors and I would like to apply something from local poetry to my drawings. 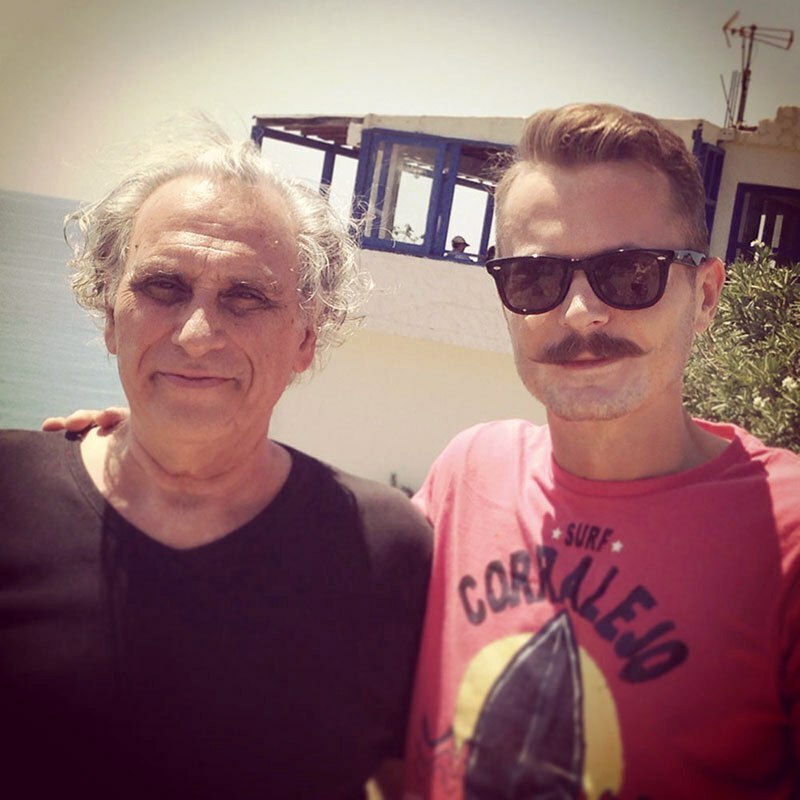 When Manolis read me several distiches, called mantinades, everything has become clear! All of these drawings were created using ink and watercolor. 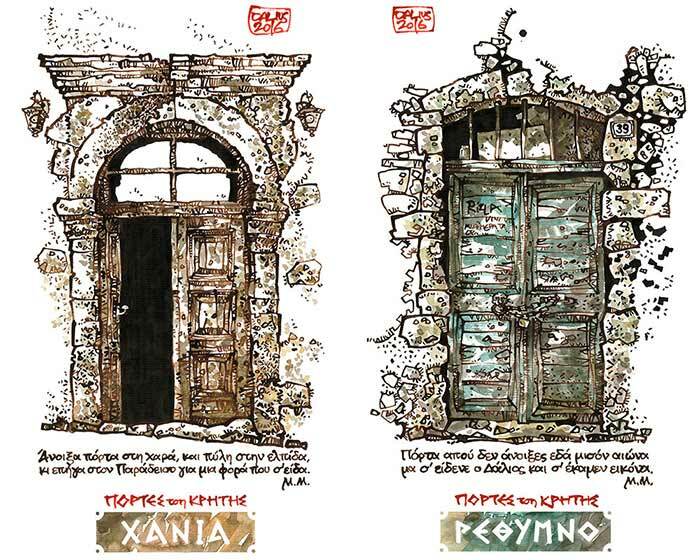 I wrote the name of the town or village and Manolis’ mantinada in each work. 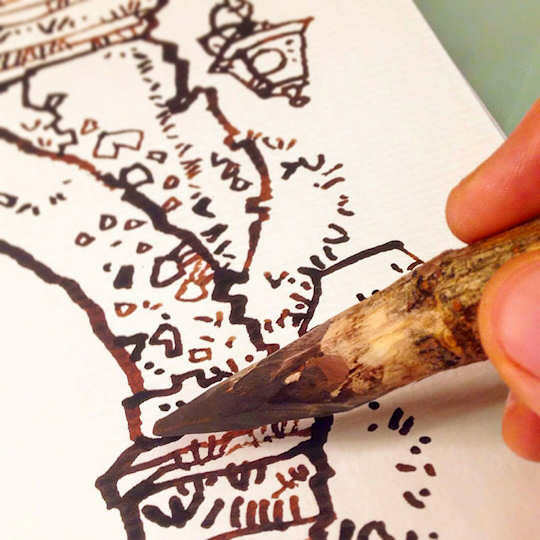 Instead of using traditional tools like dip pens or ink markers, I preferred to draw by using handmade dry twigs cut by myself." 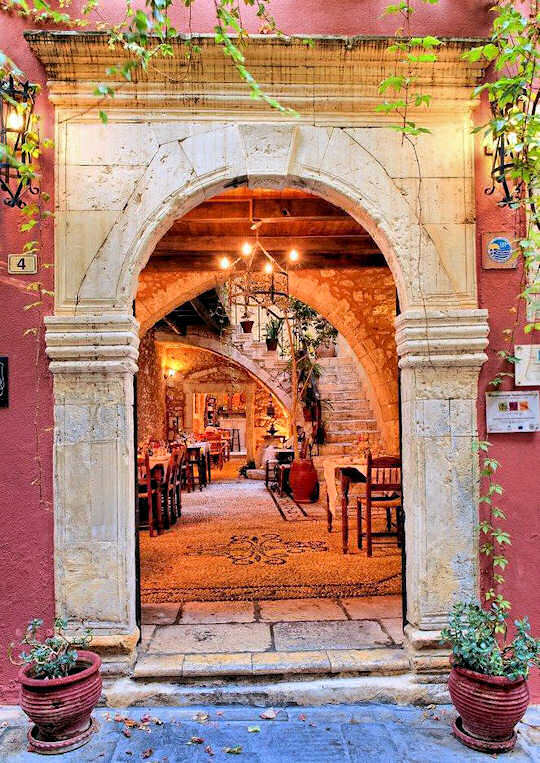 The island of Crete has a multi-faceted architecture as a patchwork resulting from its history. The Venetians ruled on Crete from 1204 to 1669 and contributed a great deal to the existing towns and building structures. 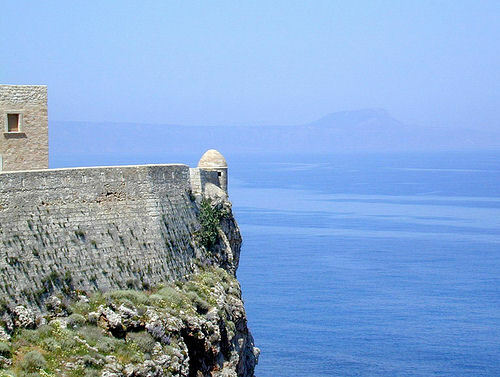 They built many fortresses and kastellos as defensive points around the island. Ruined Venetian castles and towers can be found in many parts of the island. 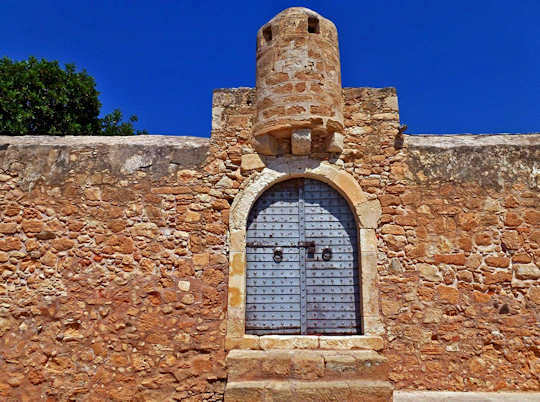 The Kingdom of Candia or Regno or Ducato di Candia ruled heavily in a rough feudal system under which the independent people of Crete did not sit quietly but fought with insurrection for those hundreds of years. 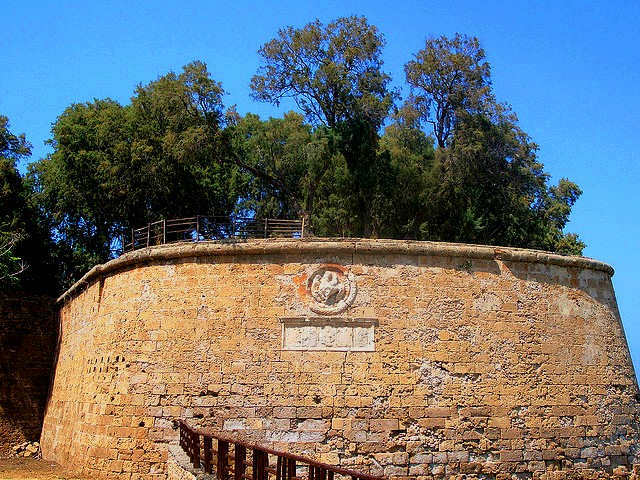 The Venetians also built many of the harbours and townships in Crete, some of which have remained throughout the following centuries of rule by Ottomans and throught the modern times of world wars. 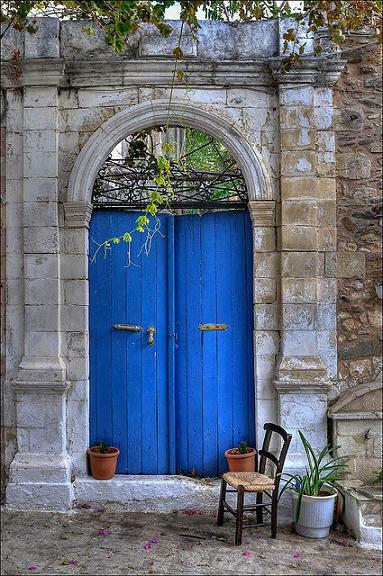 Both Chania Old Town and Rethymnon Old Zone are remnants of Venetian architecture in Crete and it is these doors that remind us of those middle ages in Crete. 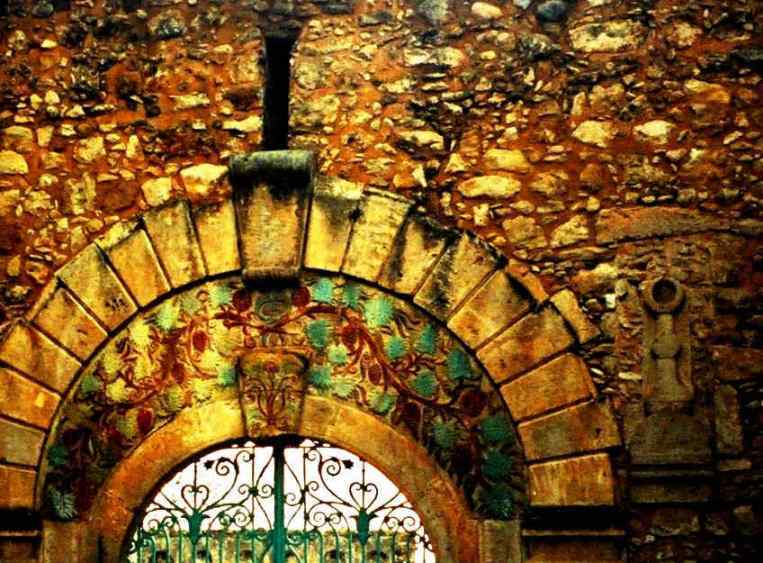 This extraordinary arch and doorway is located in the old zone of Rethymnon town.